The New Year has begun with an early inspection last month; we did very well but like we keep saying attendance and coursework is where we got hit hard. As you were told at drill more than once, attendance and coursework is key. Miss drill once, verbal warning, a second time written warning, a third time will result in termination from the program. Same with coursework, you must be submitting an assignment every month. You will receive warnings before being terminated from the program. No more sitting at the same rank; you will only get the benefit of the program if you are at drills and doing coursework. Shooting will be on Thursday, 14 FEB 19, at 1900. 10 cadets are needed. Cost is $11.00; please bring exact change. 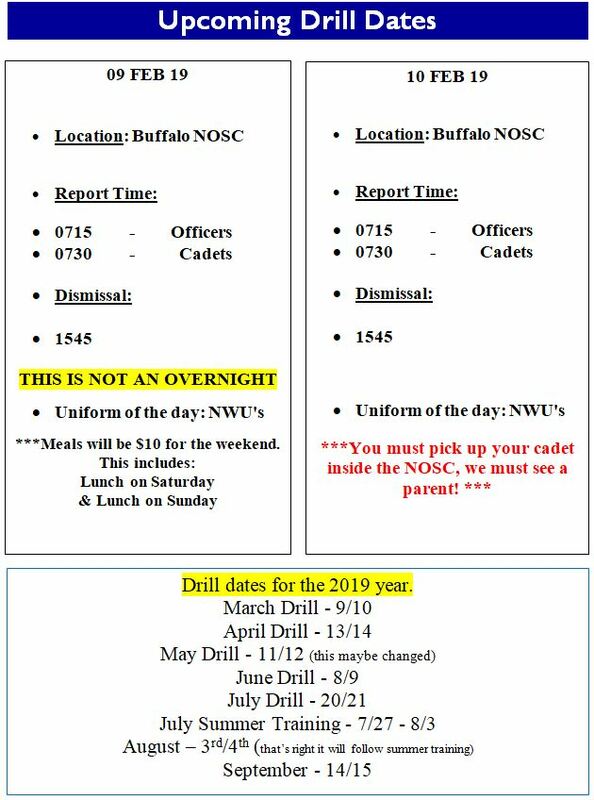 See the ENS Simone at drill if you want to sign up. Must be 12 or older to attend shooting.